I’ll start with the Facebook page. It’s actually pretty typical of corporate social media (albeit with penguins). 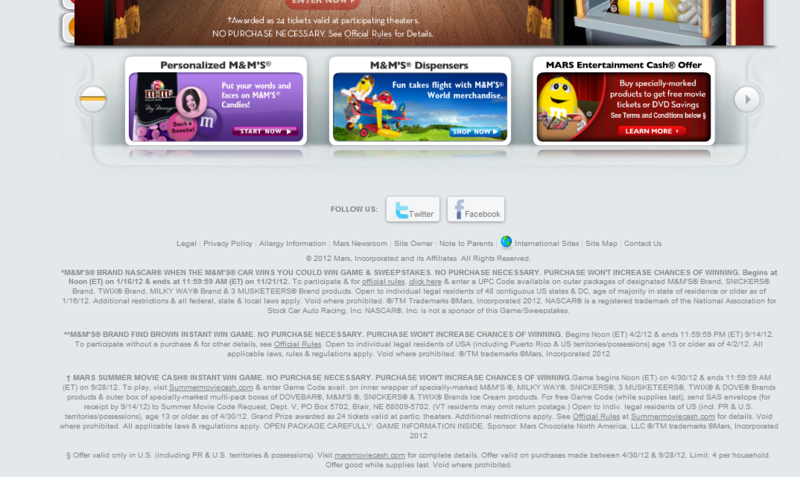 There are embedded commercials from YouTube, photos, upcoming contests, etc. Interactive content is minimal, and posts by fans aren’t responded to. But this is all okay, because where Skittles really shines is Twitter. Most marketing departments don’t know what to do with Twitter. They don’t get it, so they typically just tweet their Facebook posts, with links to the Facebook page to compensate for the character limit. Before I explain what makes Skittles tweets amazing, check out the screenshots below. See what I mean? Skittles even responds to stupid tweets from random fans, and far from being bureaucratic about it (“Thanks for being a fan Jenn”), their responses are creatively quirky. 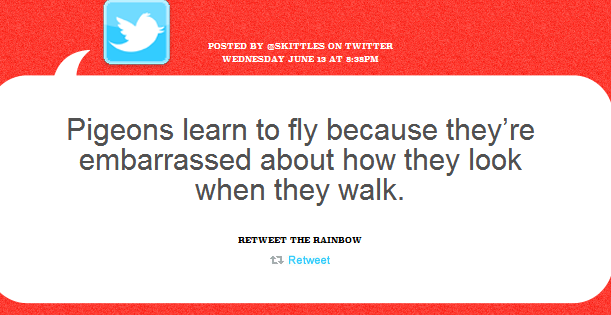 What Skittles has recognized is that Twitter is all about “one-liners”, brief messages that are both funny and sharable. Twitter users are much more likely to follow you if they can re-tweet your tweets to their own followers. And finally, the Skittles YouTube page contains all of the brand’s famously bizarre commercials. 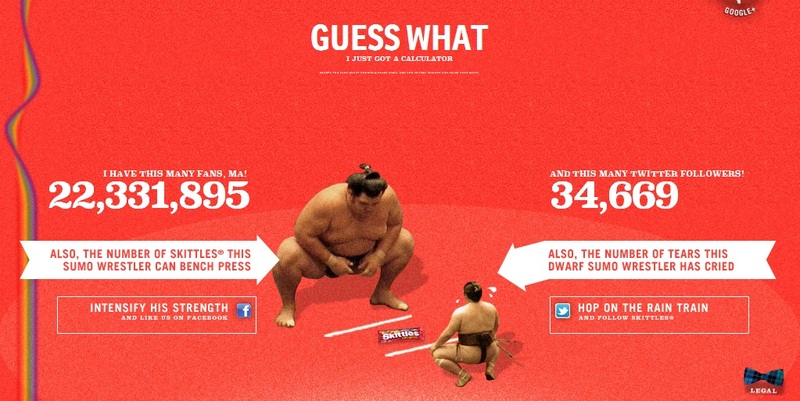 This level of involvement in social media is far from the norm among candy makers. M&M’s website requires you to be 18 to enter (which is just a little baffling) and comes with this charming legal notice right on the homepage. Anyway, the numbers speak for themselves (ironic, given that Mars Inc. owns both brands). The takeaway is that Skittles doesn’t just have an active and creative online presence. Its social media pages, commercials, and website complement each other, working together to present a quirky, fun image that stops just short of being corny (your mileage may vary here). But even the best aren’t perfect. In 2009, Skittles replaced its homepage with its Twitter page, that is, tweets with the word “skittles” in them were posted directly to the brand’s website. Skittles’s mistake was underestimating the depravity of internet users, who quickly realized that nobody was screening the tweets for objectionable content. This miscalculation was ruthlessly punished as the Skittles homepage was flooded with obscenity and profanity (here’s a fairly tame sample). There were so many tweets that Twitter briefly went down. And then there came Trayvon Martin. The Florida teen was shot while walking home with a bag of Skittles and a bottle of Arizona Iced Tea. The Arizona Beverage Company was largely spared any controversy, but Skittles became a symbol of the Trayvon Martin incident. Protestors pinned Skittles wrappers to their hoodies; activists sent bags of Skittles to the Sanford Police Department. With increased sales came demands for Skittles to donate its profits to minority groups or Martin’s family, and Skittles became a convenient target of anger for some. It remains to be seen whether the crisis will have a long-term effect on the Skittles brand. 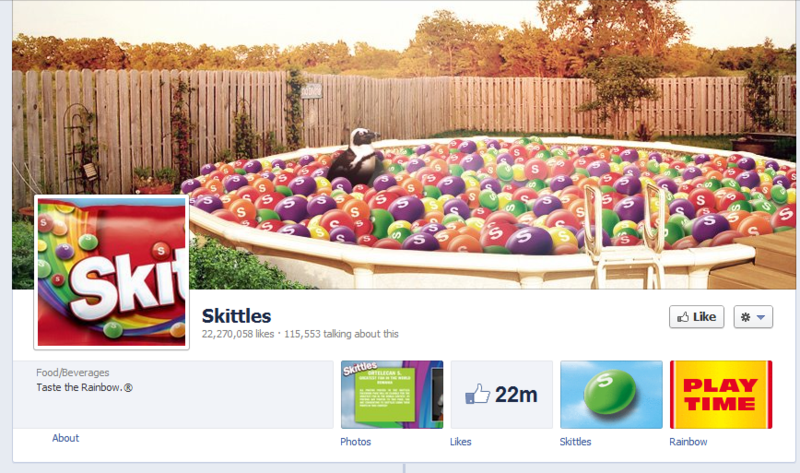 To sum up, Skittles is one of the best brands out there at managing social media. But even it runs into trouble sometimes. Even companies with a strong online presence have to be diligent, proactive, and quick-thinking to maintain that presence. The price of failure can be irreparable damage to a company’s image and business.